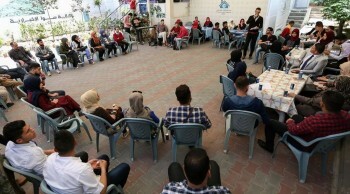 On Sunday morning, a signing event for the book “The biography of the Fighter and the Journalist - Hamdi al-Husseini”, By the historian Salim Al-Mubayid, was held at the headquarters of the Press House, west of Gaza City. The signing event was attended by a group of Authors, writers, intellectuals, media workers , journalists and other interested participants of both gender. “ Today we are celebrating one of the most considerable figures of the Palestinian Press, who began his career as an Editor at “Al-Karmel “ Newspaper in 1918 , who speaks several languages fluently, such as Spanish, Greek, Italian, German, Turkish, Persian and Hebrew ,he also took over a prominant positions as an Editor- in chief at “Sawt al-Haq” and at “Al-Serat Al-Mostaqim “ Newspapers”. As said by Representative of the Press House, Samar Al- Malfouh. She added that " Let us leave the author says some words in order to bring back all the memories and information of the journalist "Hamdi Abdel Rahman Al Husseini" about his arduous journey in bringing this great journalistic legacy to life and eternity". The book talks about the biography of the exceptional man "Hamdi al-Husseini" , as described by the historian "Al-Mobayid" ,who said that, "Hamdi al-Husseini was a rare and a successful man who witnessed the most notable events of the twentieth century including Historical and humanitarian issues , besides the catastrophes that turned the Arab world and the heart of it "Palestine" into a shattered nation. " During his speech, Al-Mobayid stressed that "The fighter's slogan could be summed up in three words (Independence, Unity and Freedom) for all the Arab nation , as he had expressed his views widely though all mass media, including press, radio, conferences and meetings with the leaders of that era, including Al-Haj Amin al-Husseini, Stalin, And other intellectuals and scholars, pointing out that "Al- Husseini" had lived in a time of accuracy and sensitivity in various aspects of the Palestinian people’s life. The participants expressed their pleasure for their presence to sign the book of “Hamdi Husseini”, who documented through his pages the important phases of his life on both personal and professional levels. 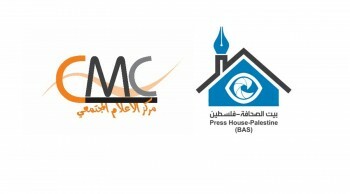 The Press House holds a discussion meeting titled “How to address the foreign Media"